What is your motivation for doing what you do? What inspires you? What defines you? And more specifically if you are already an entrepreneur, why did you choose to become one? Unlike a few years ago, entrepreneurship is now an accepted career option. No longer are people afraid to do the tightrope walk without a safety net underneath. But it’s not an easy ride. Entrepreneurs work incredibly hard; and anything that makes you work that hard will most certainly have an equally strong driver. Why else would you struggle and sacrifice so much? 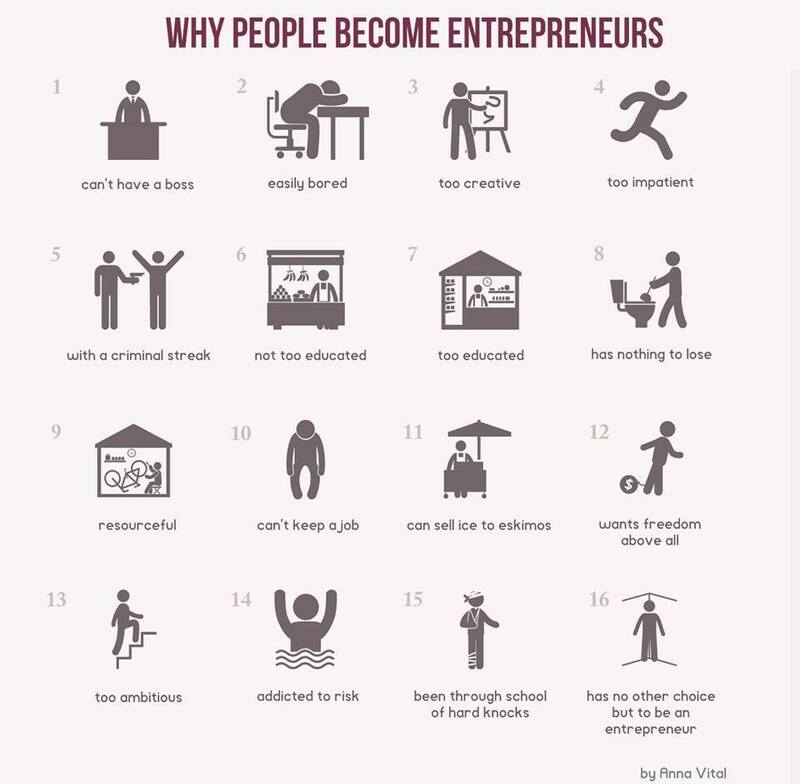 This infographic nicely captures the numerous reasons why people choose the entrepreneurial path. Drop us a comment on which reason(s) applies to you.